Colors include Opaque, Transparent, Fluorescent, Pearlized and Iridescent Colors. 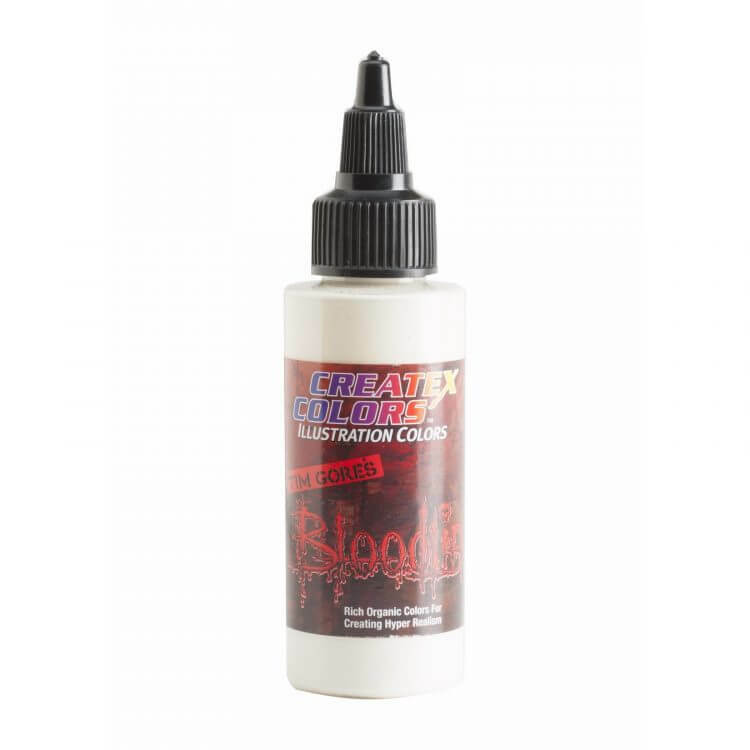 Createx Airbrush Colors are designed for permanent results with a soft-hand feel on fabrics. Colors cure with the assistance of heat after drying. 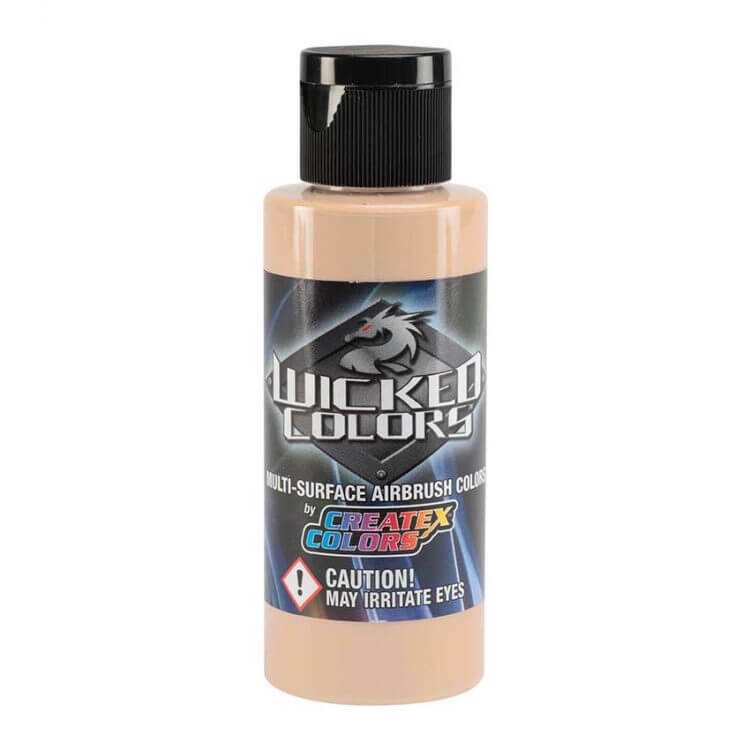 The use of heat to cure colors is one of the main differences between Createx Airbrush Colors and Wicked & Auto Air Colors which cure to a much stronger film with air drying alone (referred to as self-cross linking). 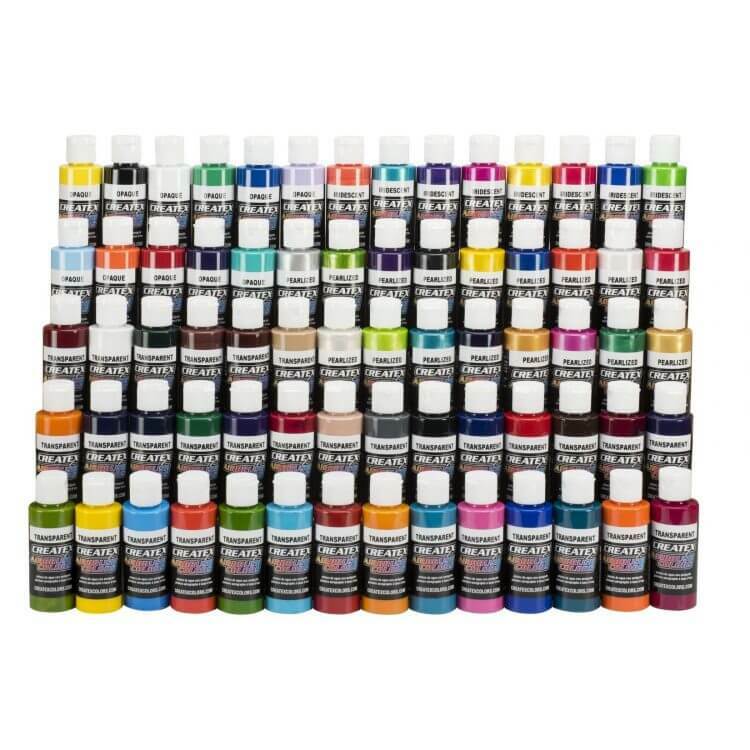 Createx Airbrush Colors work best out of the bottle with a 0.5mm tip-sized airbrush operated @ 40 ? 50 PSI. 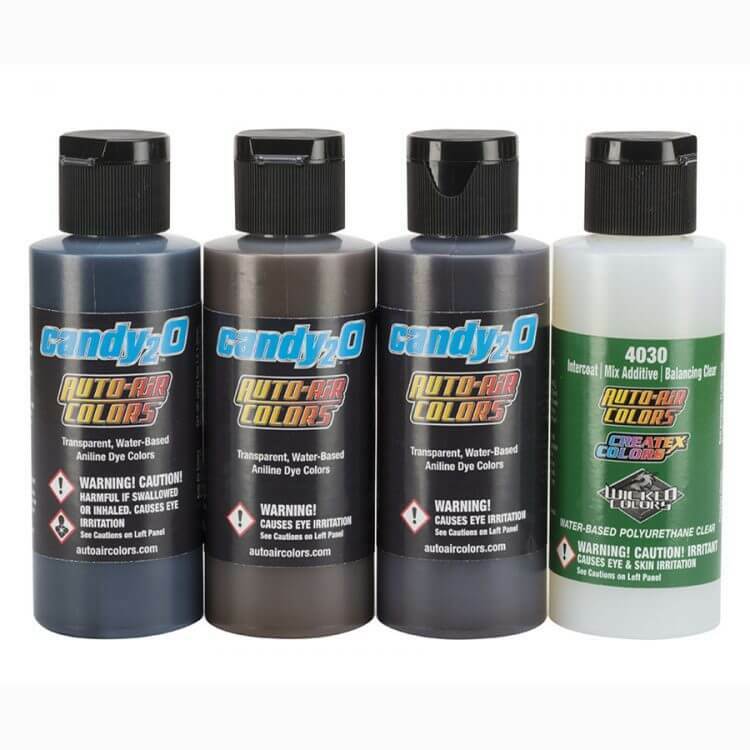 For smaller tip-sizes, lower PSI settings and fine-line detailed artwork, reduce with Createx 5601 Transparent Base.